As the NSW government moves to water down the state’s gun laws and a new gun amnesty starts, figures obtained by the Greens show that NSW is on a dangerous path towards 1,000,000 registered guns by 2020. Official figures obtained from the Police Firearms Registry shows that on 16 May 2015 the number of registered guns in NSW was 850,636 but by 11 March 2017 the number had risen to 915,822. This represents a growth of 65,186 registered guns in less than 2 years. If the increase in gun ownership continues NSW is on track to have more than 1,000,000 registered guns by 2020. 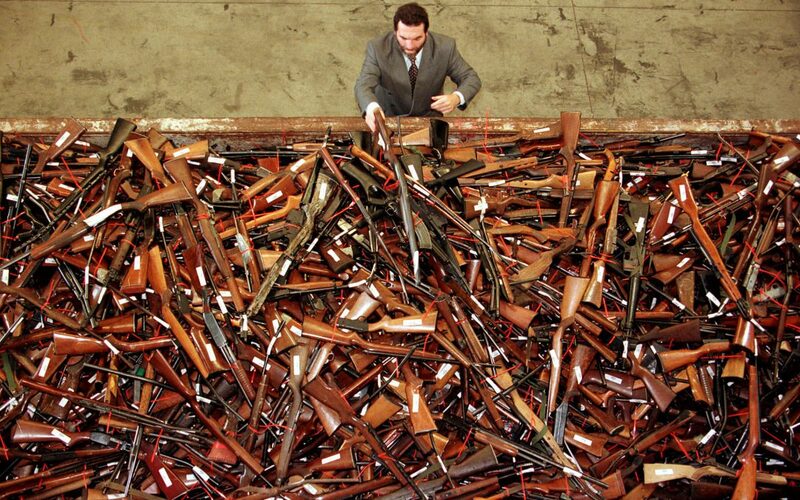 New South Wales will soon have a million firearms by the end of the decade, a rate of growth that a Greens MP warns could encourage a local version of American gun-ownership culture. New Police Firearms Registry data shows an extra 65,000 firearms were registered in NSW in less than two years, bringing the state’s total pool of legal guns to 915,000. If current growth holds, there will be more than a million guns registered across the state. “People are often shocked when they hear how many guns there are in NSW and they have every right to be. “Business as usual, where our gun laws are whittled down bit by bit, will see NSW with more than 1,000,000 registered guns by 2020. “There are 8 private individuals in NSW who each have more than 200 guns a piece with one person owning 312 guns. “These aren’t collectors or dealers they are just private people with what are, in effect, private arsenals. “When Parliament returns next week the lower house will likely rubber stamp a law that waters down our gun laws. “The major parties plan to triple the number of highly dangerous category D weapons people can own and green-light ownership of almost 10,000 Adler rapid fire shot guns,” Mr Shoebridge said. “This week we have seen a temporary gun amnesty put forward as a way of removing illegal guns, but the Greens know the better solution is limit the number of guns in circulation in the first place. “In just a little over one year almost ten thousand mutli-shot lever action shotguns have been registered in NSW alone. “This large pool of highly lethal weapons is a target for organised crime and inevitably some of them will fall into the hands of criminals and endanger community safety. “Something is broken in our Parliaments when politicians pass dangerous laws that the community rejects, because they are intimidated by a minority gun lobby. “We can’t let Australia go down the US path where we are so saturated with firearms that begin demanding guns to defend themselves from other people’s guns. “Too often it is only the Greens who are standing up for tougher gun laws, with the Labor and Liberal parties uniting to deliver for the gun lobby,” Senator Rhiannon said.